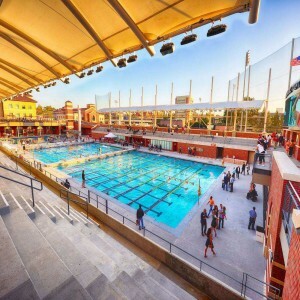 The design of outer walls of the center is based on the Weaire–Phelan structure, derived from the natural pattern of bubbles in soap lather. This suits the name "Water Cube." 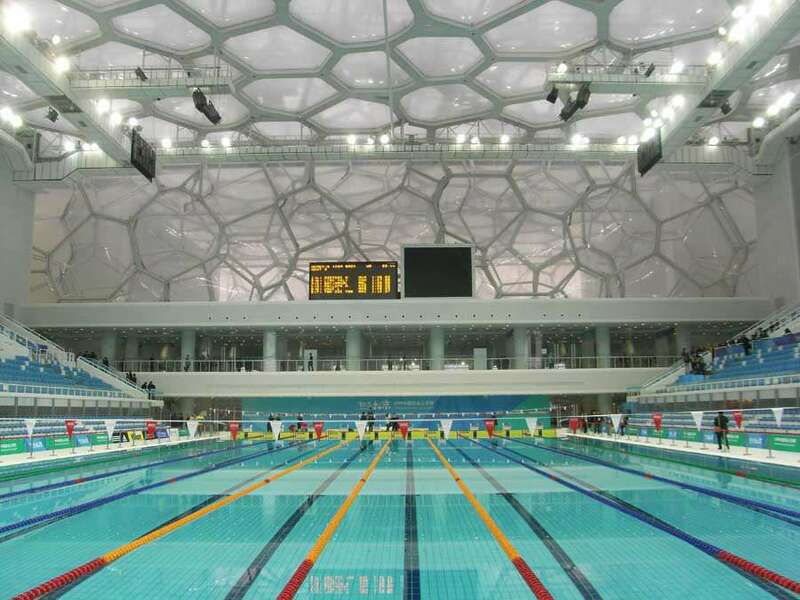 The Beijing National Aquatics Center is popularly believed by many to be the fastest Olympic Pool. 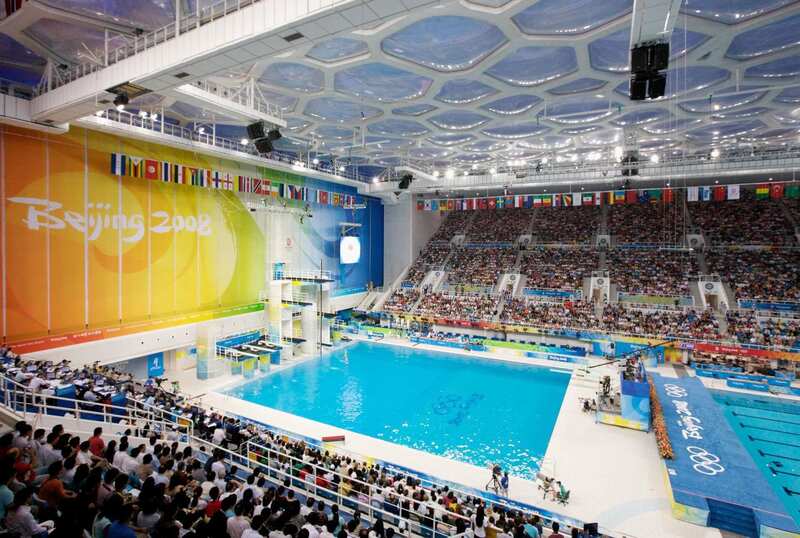 The Beijing National Aquatics Center is situated in Beijing, China. 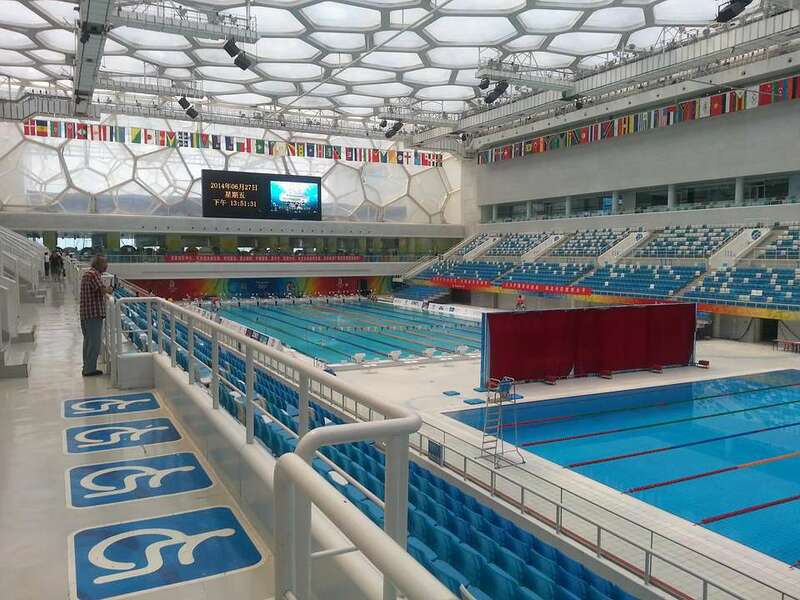 It was built alongside the Beijing National Stadium and is officially called the National Aquatics Center. 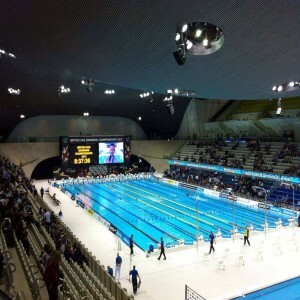 It is also known as the "Water Cube". The groundbreaking ceremony was conducted on 24th December 2003. 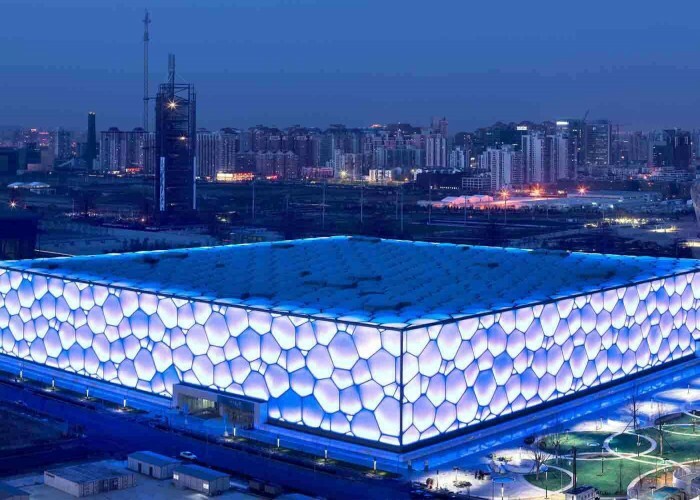 The architects who constructed this arena are PTW Architects, CSCEC, CCDI, and Arup. 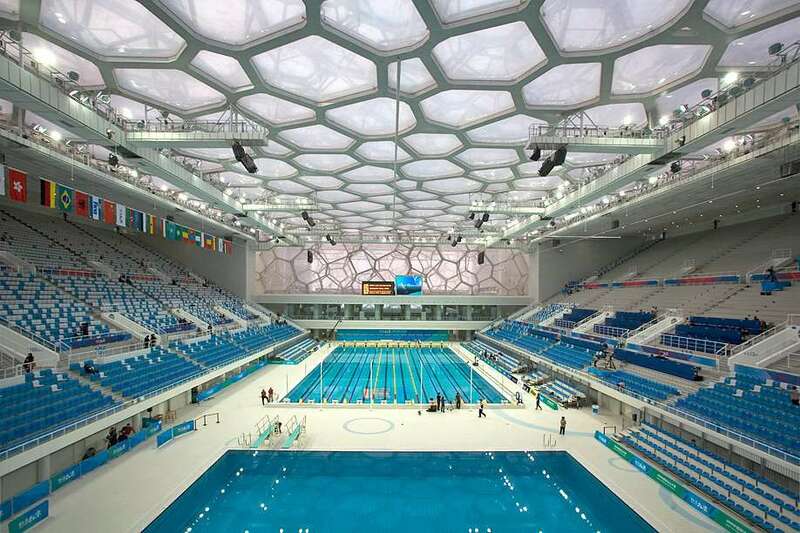 An estimated amount of $140 million was spent on the construction of the Beijing National Aquatics Center. 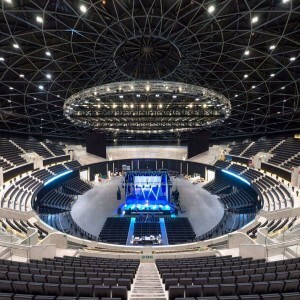 The arena was finally opened on 28th January 2008. 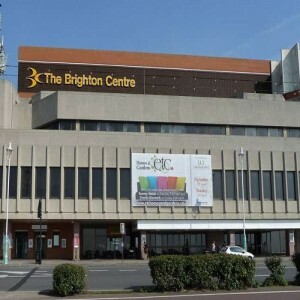 The center has been selected to host the curling events at the 2022 Winter Olympics. The Water Cube was closed on 19th October 2009 for the construction of a water park inside it and reopened on 8th August 2010. 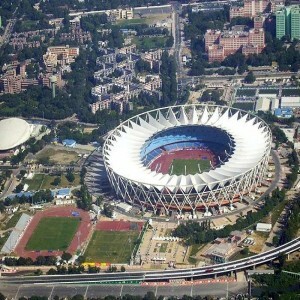 The stadium won the Best of What's New 2006 in Engineering Award presented by Popular Science (magazine). The entire center is clad with Ethylene tetrafluoroethylene (ETFE). It allows more light and heat and reduces energy costs by 30%. The Center was honored with the 40th annual MacRobert Award in the year 2009. It is UK's biggest prize for engineering innovations. The magnificent stadium won the International Association for Bridge and Structural Engineering 2010 Outstanding Structure Award. The Water Cube was awarded the NSW 'Project of the Year' award by the Australian Institute of Project Management in 2008. The architects who designed the center were given the award for most accomplished work in Atmosphere section in the year 2004, presented by Venice Biennale. 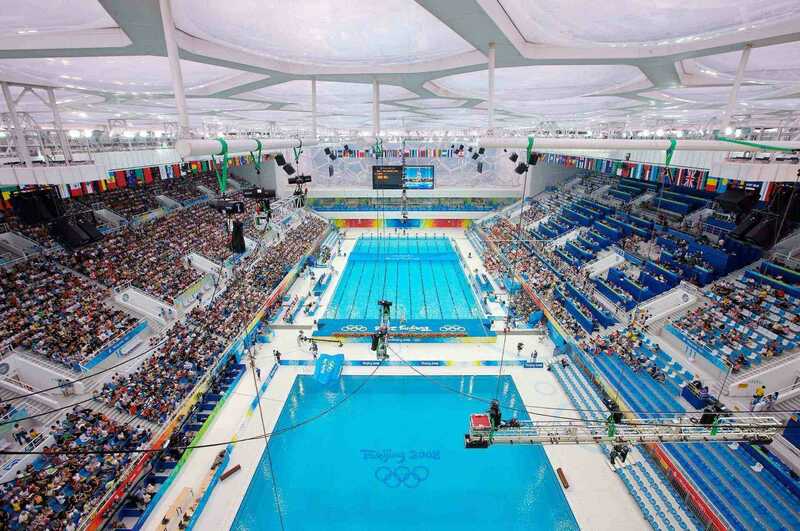 The Water Cube has hosted the events of swimming, diving, and synchronized swimming of the 2008 Olympic Games.